By area, Alaska holds more than half of America’s national park lands. With 17 national park units and 16 national wildlife refuges, the options may seem limitless. 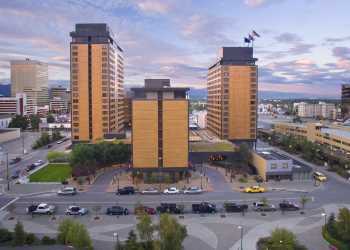 Luckily, Anchorage is in the center of it all and offers many ways to enjoy the parks. There’s exceptional access to five parks in particular. 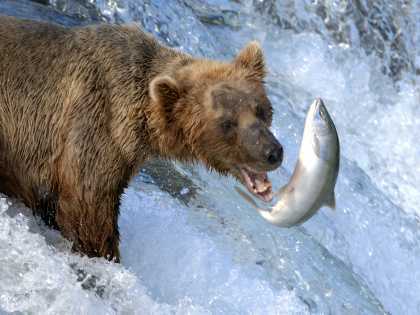 They hold tremendous glaciers, wildlife like moose, bear, wolves and caribou in stunning abundance, and outdoor opportunities unlike those anywhere else. Alaska national parks are show-stopping. 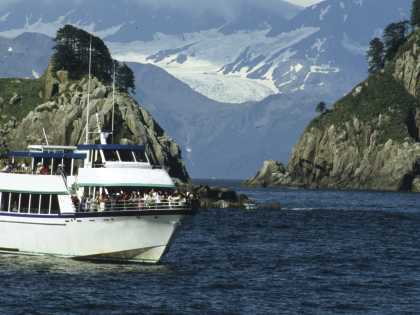 Whales feed and otters bob in the glacier-filled Kenai Fjords National Park. 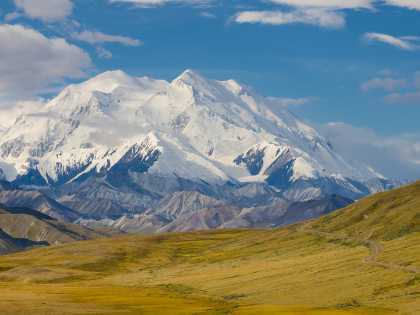 Denali National Park is home to North America’s tallest peak and amazing wildlife. 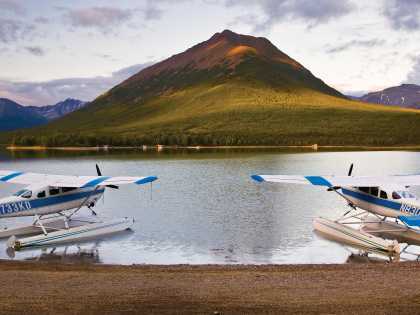 Take off for bear viewing, hiking or fishing in Lake Clark National Park and Katmai National Park. 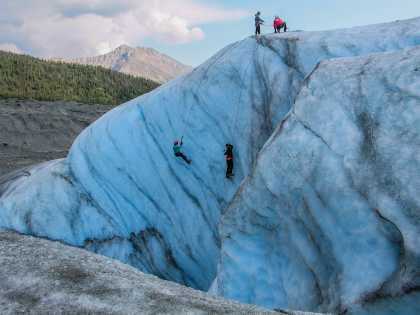 Mighty Wrangell-Saint Elias has glaciers larger than Rhode Island, and a gold history runs deep. Ready to start a visit to the parks? The Alaska Public Lands Information Center in Anchorage is the perfect beginning for an exploration of Alaska parks. The office has informative displays, educational films, helpful rangers and loads of information.